UPDATE: And she has another one. Hurry-up painting at its finest. Monet and Daniel Moore and Bob Ross, get on Carole Foret’s level. 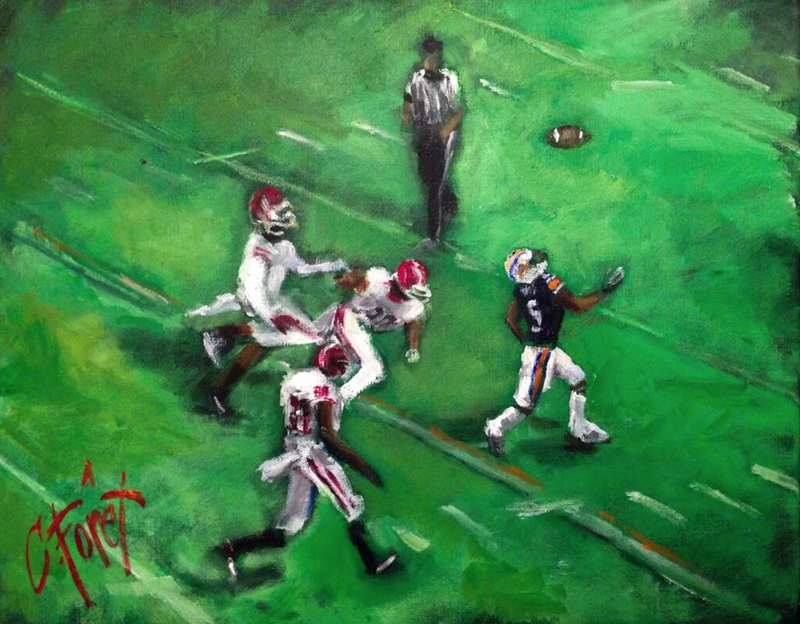 The Huntsville-based artist, a 1989 Auburn grad, has set a land speed record for sports masterpieces, producing an impressionist (or depressionist, if you’re a Georgia fan) rendering of the Miracle in Jordan-Hare apparently OVERNIGHT. BECAUSE THAT’S WHAT IT DESERVED. You can bid on the painting here. And check out her other Auburn-inspired artwork here. 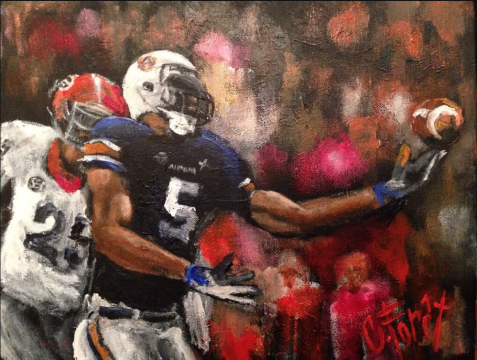 Related: The Creation of Ricardo: See the Miracle in Jordan-Hare à la Sistine Chapel. Whats the chances of it selling for 180k?